TheRustedChain - The Blog: Shop Small! You know we're a small business, a cottage industry, a mom-n-pop shop. We're a small team of workers in the Heartland of America, hand making each item in an old farmhouse in rural Kansas. We love how much you support and encourage us! We love your stories, your hearts, your experiences, and your lives. You give so much to us at The Rusted chain! 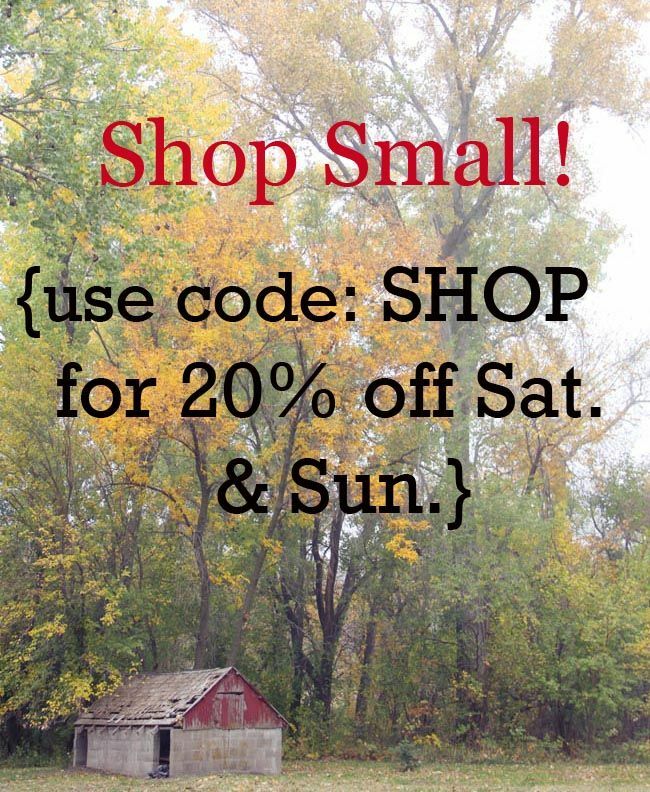 This weekend, on Saturday and Sunday, use code: SHOP and get 20% off anything.